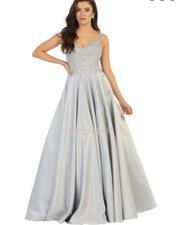 lace applique bodice with satin ball gown skirt. has pockets ! !